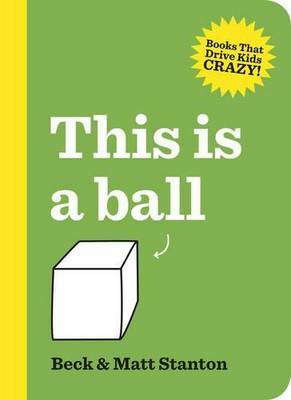 Tag: Books That Drive Kids Crazy! Author, illustrator and former designer at HarperCollins, Matt Stanton, opened our eyes to ‘design thinking’ and strategy in writing and publishing books at yesterday’s ‘Between the Covers’ seminar in Sydney about children’s books and publishing. 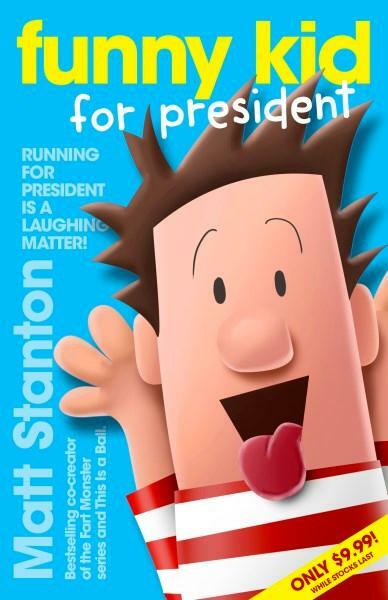 Matt is the creator of two very successful series for young readers. The first is aimed at 6-year-old boys. It is unashamedly commercial and doesn’t even try to win literary awards. It is illustrated by Tim Miller and began with There is a Monster Under My Bed who Farts. His second series creates a funny and interactive experience for young children and their parents or carers. 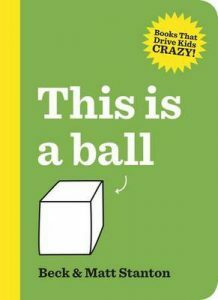 The first book in the ‘Books That Drive Kids Crazy!’ series is the very popular, This is a Ball and is a collaboration between Matt and his teacher wife, Beck. Now parents, Matt and Beck are ‘learning how to re-enter the space of play’ and what better than using a book to do so! The second in this series is Did You Take the B From My –ook? and The Red Book, with its bold purple cover, is on the way. His third series ‘Funny Kid’ will be launched around the world this year. It is aimed at middle grade readers. Matt focuses on the ‘who’, the reader, rather than on what he personally may want to write about (although maybe these are the same thing). I found this stance fascinating and very different from the many authors who I have interviewed at writers’ festivals and elsewhere. In my experience, authors generally speak about the story that they have to tell, regardless of who it’s for. An example is John Boyne and his masterpiece The Boy in the Striped Pyjamas, which has found its own audience. Matt is surprised that more authors don’t target their readerships more strategically. I believe that there is probably a place for both approaches. Matt makes it easy for buyers and browsers to find his books on bookshelves. He uses block colours such as blue, green or purple on his covers. He recognises that yellow is the strongest colour in the spectrum and will feature this on the spines of his upcoming ‘Funny Kid’ series. The book covers in this series will all feature an enormous face to distinguish them from other funny series aimed at middle grade who show smaller characters. Our brains will also register that these faces are looking at us in bookstores and libraries, drawing our attention. Matt’s website includes a virtual ‘Stretch Your Imagination’ book tour. He also has a YouTube channel that is very popular with his young readers. Matt reminded us that we’re in a golden age of children’s publishing in Australia. In 2016, children’s and young adult book sales took 44% of the total book market in volume. In 2016, 9 of our 10 top authors wrote children’s/YA. Last year, 9 million more children’s/YA books were sold than in 2005. Thanks to keynote speaker, Matt, the Australian Publishers Association, host Allen & Unwin and Fiona Stager and her team for organising this very informative event.